This is the first vocabulary list for Hitler Youth: Growing Up in Hitler's Shadow is posted to Vocabulary.com. To access, review, and practice the vocabulary list for the first two chapters. Follow the procedure below. For a printable/downloadable list of the words you can find a link at the bottom of this page or click here. Click on “Login” in the top right-hand corner of the page. Choose the option “Login with Facebook” and enter the required information (make sure you are signed in as you and not someone else). After you have logged in, go to https://www.vocabulary.com/lists/315770. 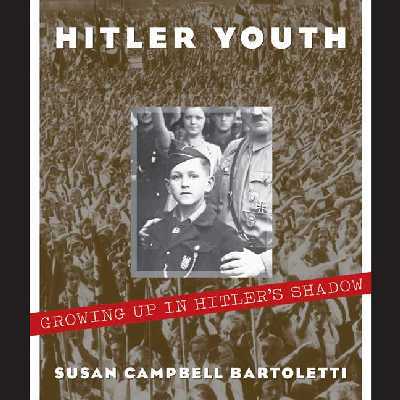 The list is titled “Hitler Youth: Growing Up in Hitler's Shadow Ch. 2-5”. Search for it if the link doesn’t work. Now you have found the vocabulary list. On this page, first click “Review” to view the words on the list and see their definitions, learn how to pronounce them, and read how they are used. If you feel you are ready (or just want to give it a try,) click on “Learn”. This feature will ask you questions and you get to try to answer. The website tracks your progress and keeps quizzing you until you have mastered all of the words. As long as you are logged in, it will show you the percentage you have mastered (top-right). This is what you need to show me to get your award. Just take a screenshot or picture of the percent on the screen and mail it to me (or log in and show me at school) to get credit.